When searching for a new apartment, whether your first or merely your first foray into luxury living, it’s critical to examine each and every factor, especially situationally. If you’re looking for a place to share with a roommate, a floor plan is worth looking into, as you’ll need a layout that properly accommodates both of you with ease. If work brought you into the area, then it’s all about location, location, location, as you’ll be after a place that gives you the proximity you need to work, and the closeness you want to things you enjoy doing. With both of those examined, comfort is the next factor to look at, which comes through with apartment amenities and community amenities, which give you comfort within the home, as well as comfort outside the home with plenty to do. Here at Alexan on 8th luxury apartments in Atlanta, we provide all of this with absolute ease, being both luxury and pet friendly, giving you everything you need to live life to the fullest. 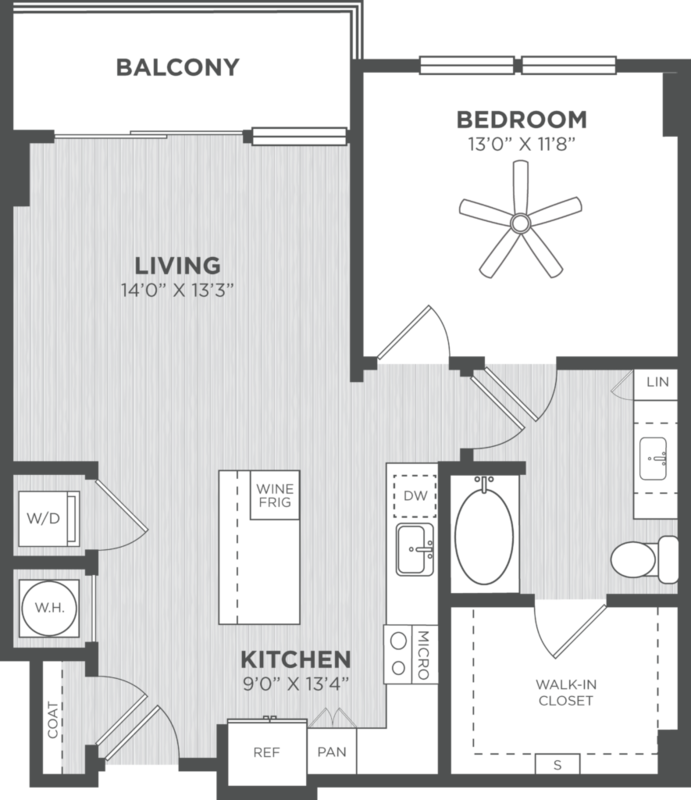 With the Gasper floor plan, you’ll have everything you need to experience the true luxury of Atlanta within your home, as the one bedroom floor plan is perfect for flying solo. A spacious living area is the perfect space to setup an entertainment center and seating for your next watch party or streaming binge, while the kitchen allows you to make much more than popcorn for those events. Right off the living area is the balcony, which provides scenic views of the bustling urban landscape of Atlanta, and allows you to step out for fresh air at your discretion! To see more info on the Gasper, our one bedroom floor plan, and other luxury floor plans, please feel free to contact or drop by our leasing office today to see what makes living at Alexan on 8th the best luxury living in the ATL!